ISO TRAM Fall Protection System is specifically designed to protect those working on ISO containers. The system consists of a rail-mounted TRAM unit fixed to the ISO container. 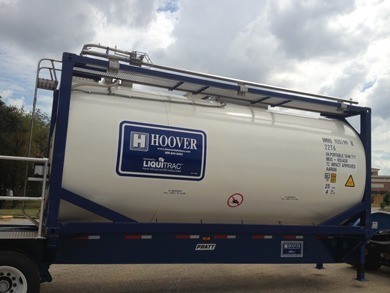 The risk of a fall from an ISO tank container is well-documented, with the transfer from the ladder to the top of the tank being the most dangerous aspect of the operation. Not knowing when an accident might occur doesn't make the danger, or the fallout, any less real, so why take the risk in the first place? With the ISO TRAM Fall Protection System, you don't have to. 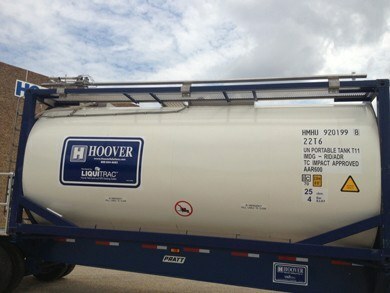 Tank containers are often accessed from a road trailer, which can be 13’ (4m) above the ground. Our unique ISO TRAM system provides fall restraint or arrest protection as well as an integrated, adjustable handhold for both stability and confidence during rigging, setup and maintenance. With our system, your workers get home safe, every time. ISO TRAM is the only system in the world that protects the user while transferring from the ladder to the top of the tank. When connected to ISO TRAM, you cannot fall. Period.